Published by Green Ronin. Released May 2015. Copy purchased by reviewer. 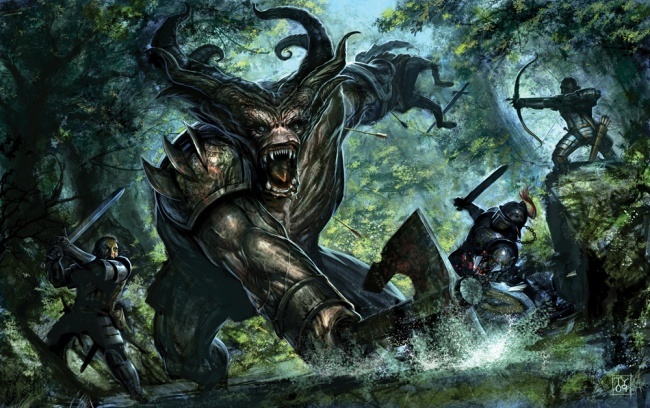 Dragon Age may be a video game franchise, but it owes a lot to tabletop roleplaying. Dungeons & Dragons was a major inspiration for the series, and it shines across Thedas despite all those Grey Wardens and Darkspawn. That's why it was so appropriate when Green Ronin published the Dragon Age RPG box sets. Rolling dice while players led wardens and circle mages across Ferelden felt perfectly natural, and the system welcomed players of all experiences and stripes. 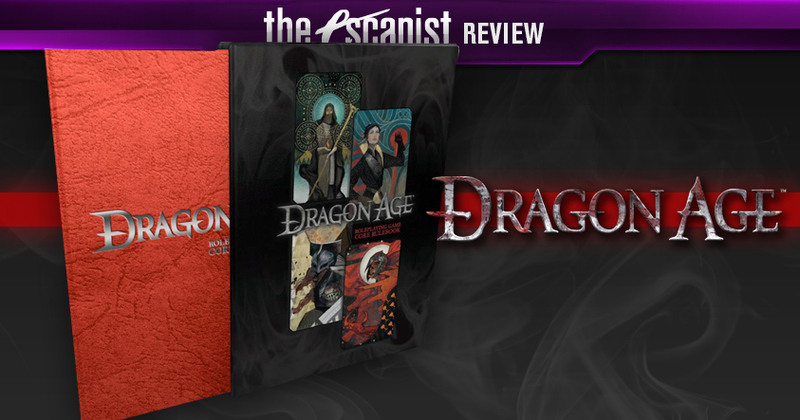 And now that Green Ronin has finished its rules with a final box set, there's one step left - releasing Dragon Age as a complete core book. Whether you're a tabletop gamer or just a curious BioWare fan let me assure you - this is a wonderful game. It covers all existing rules, spells, level upgrades, and monsters from previous sets. It lets players design a massive range of characters, from Grey Wardens to your favorite companion archetype. It even highlights some Inquisition content, including a brand-new starting adventure in Orlais. This isn't just the definitive Dragon Age tabletop experience - it's a downright fantastic game. Let's say you're sitting down to design a Dragon Age campaign. Where do you begin? Origin's Ferelden? Dragon Age 2's Kirkwall? Inquisition's Orlais? How about the Dales, Orzammar, or the distant and powerful Tevinter Imperium? How about any of the above? The biggest appeal to the Dragon Age core book is using all of Thedas as your setting, and the core book excels on that front. Its setting chapters detail every major location, culture, and race portrayed in the series to date, while describing their impact on the history of Thedas. Not only is the information incredibly useful for coming up with adventure ideas, it's invaluable to players seeking context for how their characters could fit into the world. Most importantly, the book includes several alternate campaign frames - including Inquisition - so players can explore adventures outside of its "Fight the Blight" default. An especially nice touch is how setting information is divided between what characters know from the Player's Guide, and how the world actually is from the Game Masters Guide. Starting characters know the Grey Wardens exist, but not the cost of the Joining ceremony. The Chantry teaches that Tevinter mages created the darkspawn, but the actual history is far more uncertain and complicated. Provided everyone keeps to their respective chapters players will learn all the secrets of Thedas through play - assuming they don't already know from the video games of course. The only real drawback to Dragon Age's setting sections is that it's a crash-course overview. It's easier to digest than reading every Dragon Age codex entry at once, but you'll still only get broad strokes - there's a map of Ferelden but not the capital of Denerim you'll actually play in. Green Ronin does reference Dragon Age novels and guides like World of Thedas, and you could probably find free details from online wikis. But it puts the onus on the player to find that information themselves, or make it up along the way. But that's a minor quibble considering all the content Green Ronin did fit into the book.